Just like any other vehicle, your trailer requires routine maintenance to ensure that it is safe, and performing properly. 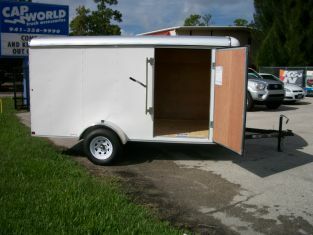 Cap World sells and services Carry-on Trailers. Each of our Maryland and New England locations has a service center and can schedule a service check or perform most repairs. We also offers trailer options and accessories for most standard utility and cargo trailers. Call a Cap Wolrd near you today to schedule and appointment. Not available in our Florida locations.